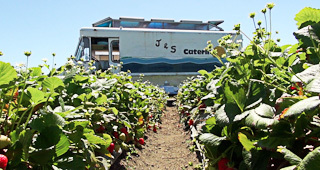 This film is a tale of two taco trucks weaving together the narratives of a Salvadoran family's traditional lunch truck that roams the strawberry fields on the Central Coast of California, with a modern Mexican gourmet food truck serving the high-tech companies of Silicon Valley. As we follow along with both restaurants-on-wheels on their daily routes, we see the dedication and struggle that it takes to feed a hungry workforce in these different communities. LONCHE has been delighting international audiences as part of the Official Selection in the Oaxaca, Take Two, and Food & Farm Film Festivals.